 Objective The American Conference of Governmental Industrial Hygienists (ACGIH) proposed a method to assess the hand, wrist and forearm biomechanical overload based on exertions frequency (hand-activity level) and force use (normalized peak force). We applied the ACGIH threshold limit value (TLV)® method to a large occupational cohort to assess its ability to predict carpal tunnel syndrome (CTS) onset. Methods A cohort of industrial and service workers was followed-up between 2000 and 2011. We investigated the incidence of CTS symptoms and CTS confirmed by nerve conduction studies (NCS). We then classified exposure with respect to action limit (AL) and TLV. Cox regression models including age, gender, body mass index, and presence of predisposing pathologies were conducted to estimate hazard ratios (HR) of CTS and population attributable fractions. Results We analyzed data from 3131 workers [females, N=2032 (65%); mean age at baseline 39.3, standard deviation (SD) 9.4 years]. We observed 431 incident cases of CTS symptoms in 8000 person-years and 126 cases of CTS confirmed by NCS in 8883 person-years. The ACGIH TLV® method predicted both CTS symptoms [HR between AL and TLV 2.18, 95% confidence interval (95% CI) 1.86–2.56; above TLV 2.07, 95% CI 1.52–2.81] and CTS confirmed by NCS (HR between AL and TLV 1.93, 95% CI 1.38–2.71; above TLV 1.95, 95% CI 1.27–3.00). About one third of CTS cases were attributable to exposure levels above the AL. Conclusions The ACGIH TLV® method predicted the risk of CTS, but the dose–response was flat above the AL; a fine-tuning of the proposed thresholds should be considered.